Our desire to do or have more in life often impacts our decisions and what we give our attention to. The idea of really doing well or crushing it in life is very appealing, however, in order to have that experience consistently, we have to do things differently. Chances are, if we want something new, we’ll have to make new decisions and take new actions. Feeling good mentally, emotionally and physically. Supporting those who matter most to us better. 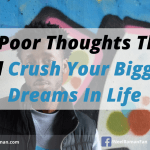 Being an inspiration to others who also want to crush it in life. Having the confidence and courage to pursue our dreams. In order to perform at a high level consistently and make the best of life, we make some changes, both big and small. A few years ago, I decided to eliminate as much process or refined sugar from my diet as I could because I was not happy with my weight. While I have never been a sugar addict, when I made the change, I had sugar cravings initially. My strategy to overcome those cravings was to have more fruits, while being mindful not to have too much natural sugar. Once I got over the initial sugar cravings, the process became so much easier and I was able to get to my weight goal by focusing on my diet and exercise routine. That small change of eliminating sugar and doing more exercises helped me release close to 20 kilograms (or 44 pounds), which in turn, helped me focus better, produce better quality work, and feel healthier mentally, emotionally and physically. Start with the big picture. The big picture in this case is our legacy and how we want to remembered. What we do daily has to be in alignment with who we truly are, what we are meant to do and where we eventually want to be. If what we are doing is not moving us closer to the legacy we want to leave behind, we have to be willing to make the decision to change what we’re doing. Learn how you can serve others doing the things you love. We have unique gifts and abilities that we can use to help others improve in some way or experience greater joy in their lives. While the idea of following our passions is valuable, it’s also intelligent to be able to sustain the lifestyle quality we want doing what we love. This is why being willing to continuously invest in ourselves and grow is necessary if we want to crush it in life. Be prepared to do what’s necessary. Just wishing or hoping to have a better quality life is not going to happen on its own. We have to do our part. While hard work or the daily grind may not always be required, we will be required to work smarter. This will require us to be uncomfortable and do things we’d rather not do. Learning new things and applying what we learn is the key to sustained improvement to our quality of life. Develop the right habits. As most things we do are habitual, having positive or empowering habits will reap great benefits over the course of our lives. 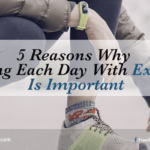 Habits may include developing the ability to focus, removing distractions, taking better care of ourselves mentally, emotionally and physically, taking intelligent risks, and setting meaningful goals. 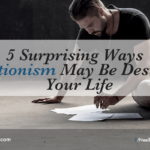 If we’re not crushing it in life, there’s a good chance we have to replace some of our exisiting habits with new ones. Take personal responsibility for all aspects of your life. We are the creators of our lives so we have to take ownership for everything we experience. As our thoughts and emotions dictate most things we do, we have to be aware of what’s influencing them. This means we have to take responsibility for the input or what we feed our minds. It’s highly unlikely we’ll be in a healthy frame of mind if we’re constantly exposed to negativity, pessimism or fear-based ideas. Most times, it’s the little things we do consistently that will result in massive changes over time. If we start focusing on making small changes to what we do and how we do things, we’ll feel better about ourselves and start seeing improvements in all aspects of our lives. If we are not crushing it in life and are not willing to make some changes, chances are we’ll continue experiencing life at the level we currently are and not give ourselves the opportunity to create a better life. Action Step: Assess what you’d like to change or improve in your life and decide the first thing you are willing to do or change in order to make it better. If you need to, speak to someone you trust who can offer additional insights or ideas. 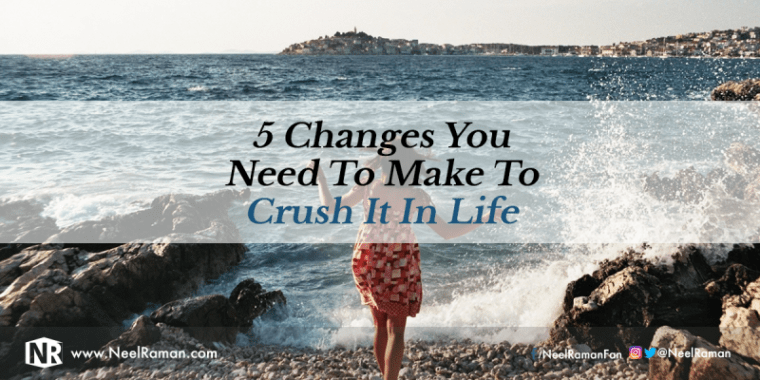 Question: What is another change we can make in order to crush it in life?